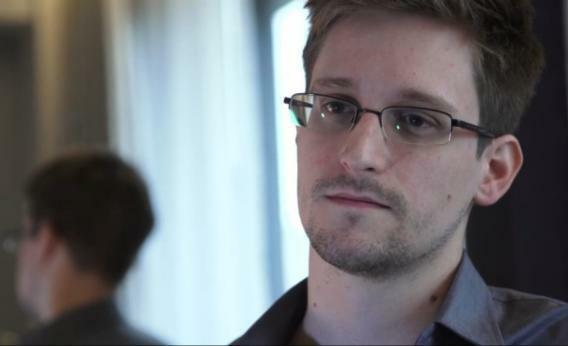 Edward Snowden: The man behind the NSA leaks. In the past week, a series of leaked documents have exposed explosive details about the National Security Agency’s top-secret surveillance programs. Now, in an extraordinary twist, the source of the leaks has chosen to out himself. Any analyst at any time can target anyone. … Where those communications will be picked up depends on the range of the sensor networks and the authorities that that analyst is empowered with. Not all analysts have the ability to target everything. But I, sitting at my desk, certainly had the authorities to wiretap anyone: From you or your accountant, to a federal judge, to even the president if I had a personal email. In coming forward, Snowden exposes himself as the whistle-blower behind a series of incredible stories published by the Guardian and the Washington Post in recent days. The first disclosure came on Thursday when a secret court order was published by the Guardian showing that the NSA had ordered Verizon to turn over millions of Americans’ phone records, which it later emerged had been going on for seven years as part of a sweeping surveillance program also involving AT&T and Sprint Nextel customers. On Thursday the Post and the Guardian jointly revealed an NSA Internet surveillance system called PRISM, used to sweep up troves of private user data from the servers of companies including Microsoft, Yahoo, Google, and Facebook. On Friday, another Guardian scoop detailed a top-secret presidential directive revealing that Barack Obama has asked national security officials to draw up a list of potential overseas targets for U.S. cyber-attacks. And then on Saturday, the Guardian exposed the existence of a secret tool used by the NSA to map its sweeping international surveillance capabilities. Documents about the tool, codenamed Boundless Informant, illustrated how the agency had gathered a massive “97bn pieces of intelligence from computer networks worldwide” in March alone.